This blog will provide step-by-step guidance on how to integrate ARIS with SAP Solution Manager 7.2. This is the first blog in two piece series. 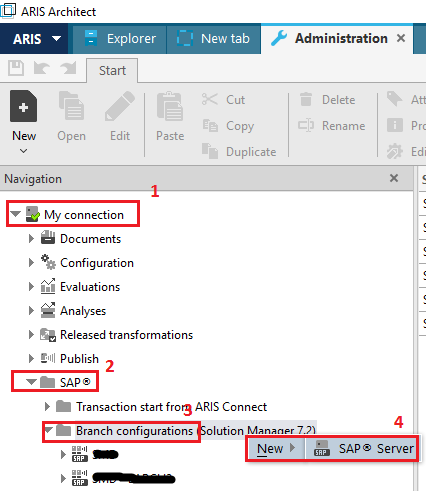 Part 1 will explain about how ARIS can be integrated to SAP Solution Manager which can be used to synchronize new models created in ARIS to SAP Solution Manager. In my next blog, I will explain how existing models in ARIS can be synchronized to SAP Solution Manager. Prerequisites: Process management in SAP Solution Manager is configured already. 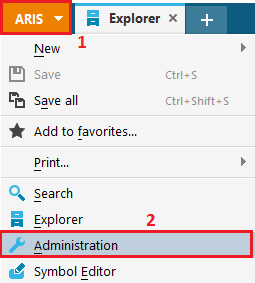 Login to ARIS Architect and click on ARIS –> Administration to open the ARIS administration tab. 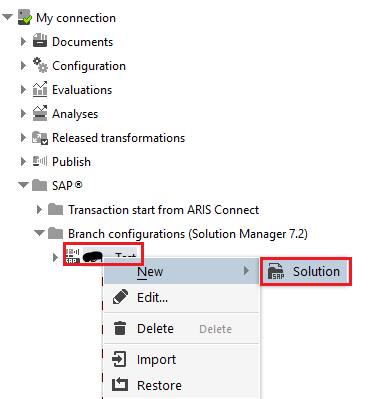 For SAP Solution Manager 7.2 integration, expand My connection –> SAP –> Branch Configurations (SAP Solution Manager 7.2). Right click on Branch Configurations –> New –> SAP Server. 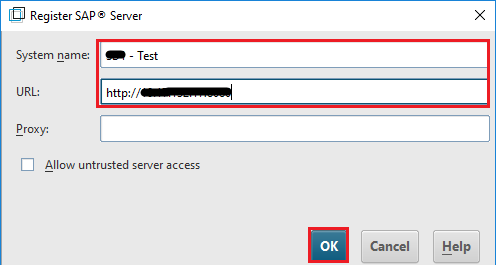 Provide the Solution Manager system name (can be any name) and URL in the resulting popup and click on OK. It will create an entry under branch configuration. Right click on the created entry and select New –> Solution. Provide the SolMan user name and password. Note: The provided user should have access to Solution Documentation. Select the SAP Solution Manager solution which you want to integrate and click on OK. 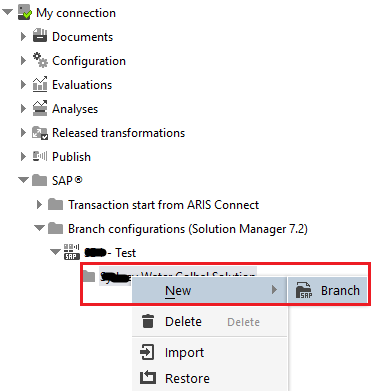 Right click on the Solution –> New –> Branch to associate SolMan branch with ARIS. Select the branch for integration. Note: You can select any branch except Production. Selecting Import branch is recommended. SAP Solution Manager branch is associated with ARIS in disabled status. Next step is to select the various integration options. In this section, we will provide the required integration options for synchronization from SAP Solution Manager to ARIS. Right click on Transfer data to ARIS and Edit. Select the Allow changes option if you want to allow the ARIS users to change the settings before synchronization. Note: You can also switch to help tab anytime to get help for that particular step. 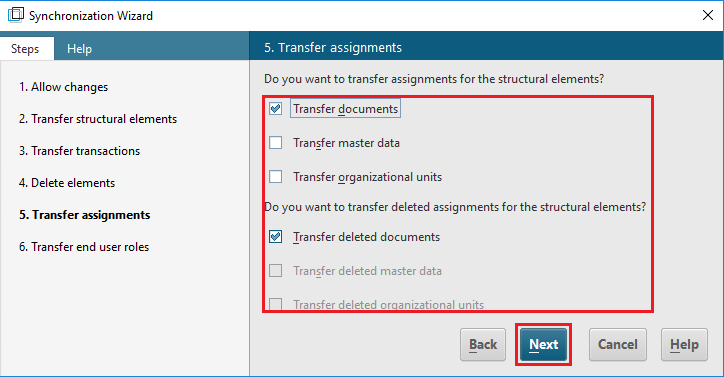 In transfer structural elements step, select what you want transfer and click on Next button. 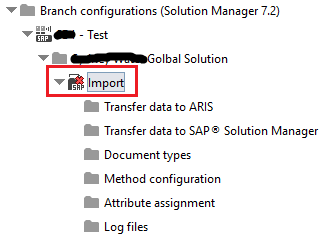 Select Transfer new transactions option, if you want to transfer transactions from SAP Solution Manager to ARIS. Click on Next button. Select these options, if you want to synchronize the deleted elements in SAP Solution Manager to ARIS and click on Next. 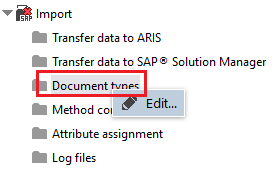 In this step, you can select whether you want to transfer documents, master data, organizations units in SAP Solution Manager to ARIS or not. Click on Next after selecting the required options. 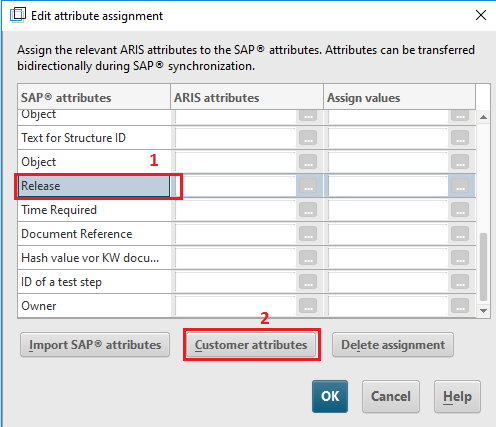 Select the required checkboxes if you want to synchronize end user roles from SAP Solution Manager to ARIS and click on Finish. Here we will select the document types for synchronization. Right click on Document types and select Edit option. 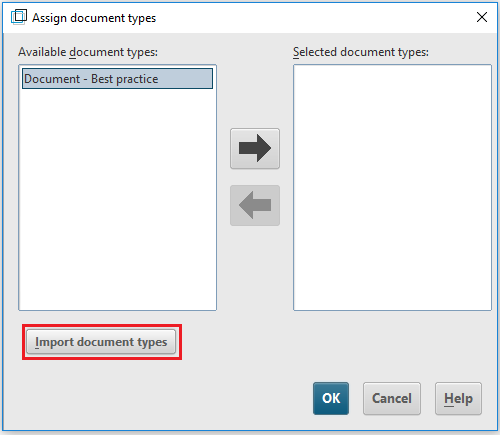 Click on Import document types button to import the document types available in SAP Solution Manager. Note: You need to have document types assigned for the Solution in transaction SOLADM for document types to be available here. 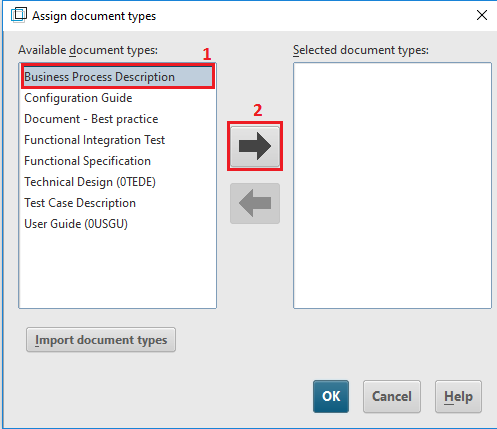 Select the document type and click on Right Arrow to select the document type for integration. 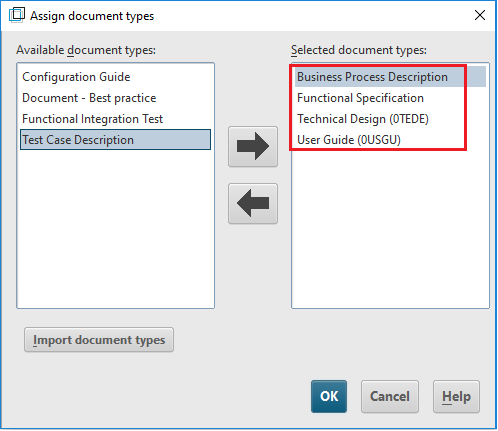 Click on OK button once you have selected the required document types for integration. The document types are now selected for integration. In this section, we will provide the required integration options for synchronization from ARIS to SAP Solution Manager. 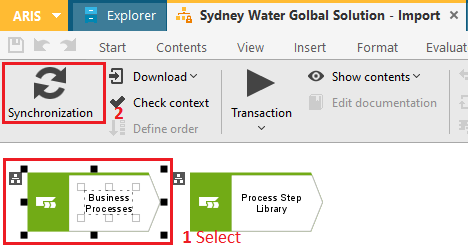 Right click on Transfer data to SAP Solution Manager and select Edit. 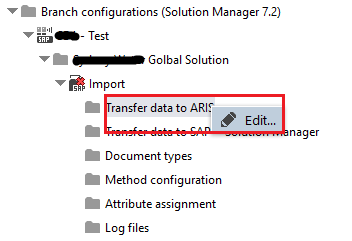 Select Transfer new transactions and documents option, if you want to transfer transactions and documents from ARIS to SAP Solution Manager and click on Next button. 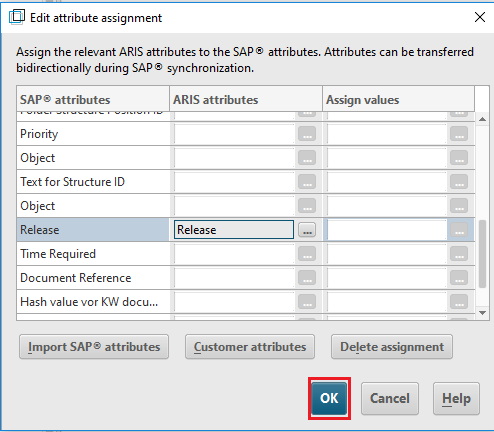 Select these options, if you want to synchronize the deleted elements in ARIS to SAP Solution Manager to ARIS and click on Next. Select the required checkboxes if you want to synchronize end user roles from SAP Solution Manager to ARIS and click on Next. 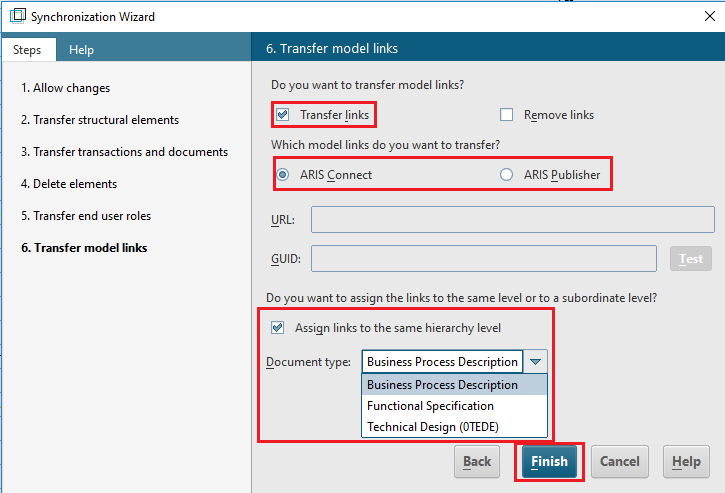 You can provide models in SAP Solution Manager that have been published in the portal in ARIS Connect or exported from ARIS Architect using ARIS Publisher. These models can be opened from SAP Solution Manager. If you do not want to transfer model links, disable the check boxes. Note: You should have document types selected before selecting options under model links. Branch, Scenario and Process will be synchronized as VACD and Process Step will be synchronized as EPC by default. 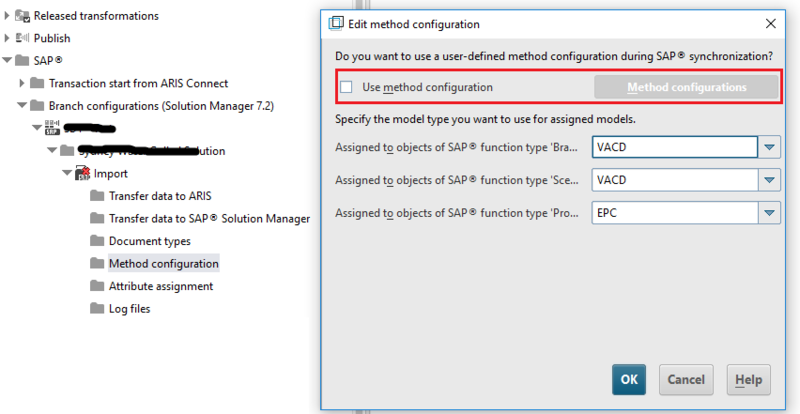 Select the use method configuration checkbox and Click on method configuration button to make any changes to the model type created during synchronization. 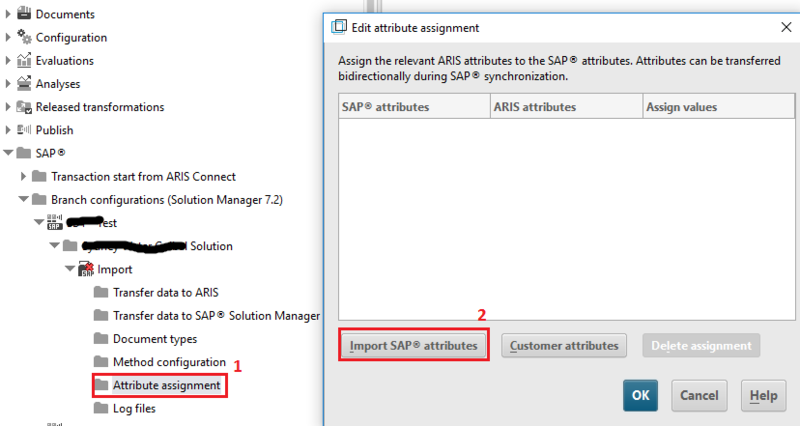 We can map ARIS attributes with SAP Solution Manager attributes using attribute assignment option. Right click Attribute assignment and click on Edit to open the attribute assignment window. Click on Import Sap attributes button to import attributes defined in SAP Solution Manager. 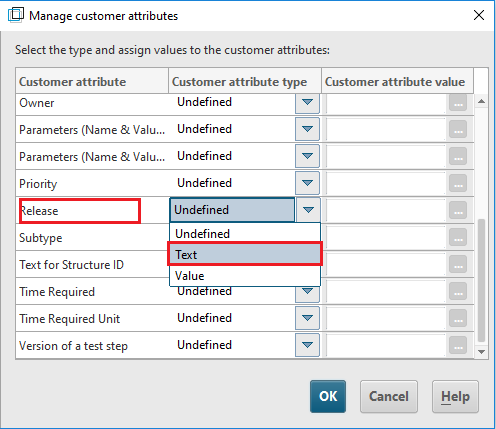 Select the attribute which you want to map and click on customer attributes button to select the attribute type. Select the customer attribute type and click on OK. This will enable us to map the attribute with the corresponding ARIS attribute. Now you can find the attribute mapping option enabled. 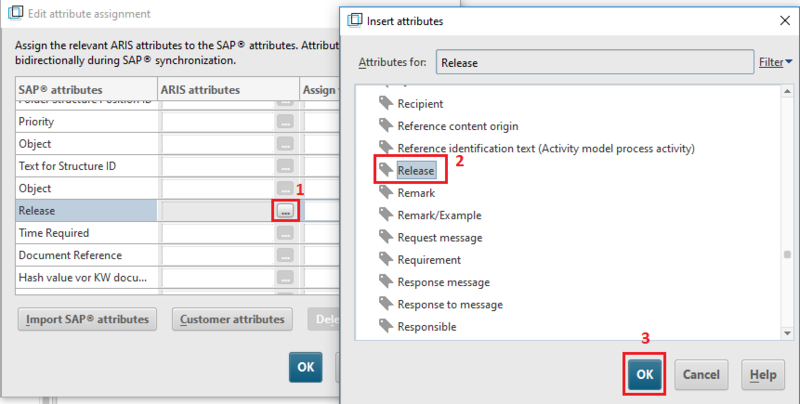 Click on the mapping button and select the corresponding attribute to map the ARIS attribute with SAP Solution Manager attribute. Click on OK to complete the attribute mapping process. Enable the branch for synchronization once all the above activities are completed. Right click on Branch name and select Change status option. The branch is ready for synchronization (x mark is removed from the branch name). That’s it! We have integrated the SAP Solution Manager with ARIS. 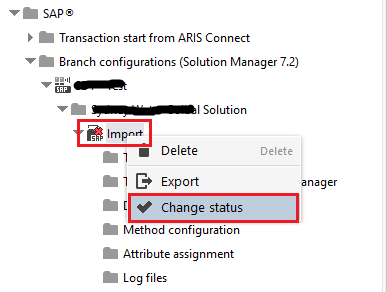 We should be now able to synchronize the processes between SAP Solution Manager and ARIS!!! Go to ARIS explorer and select the folder into which you want to synchronize the SAP business process. 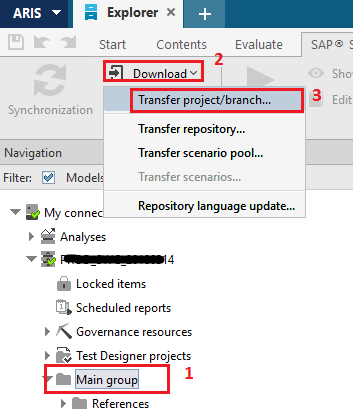 Click on Download and select Transfer Project/branch option. You might be opted to select the synchronization elements if you have allowed users to edit the synchronization option earlier. Provide required values in the popup (refer section 1.2 for more info) and click on Finish. Now you can find the Solution Manager folder created and you can start modelling under business process VACD. Note: This step is mandatory to setup the necessary folder structure in ARIS for synchronization. Synchronization will not work without initial sync from SolMan. You can synchronize the ARIS model into SAP Solution Manager by selecting the model and clicking on Synchronization option available under VACD/EPC. 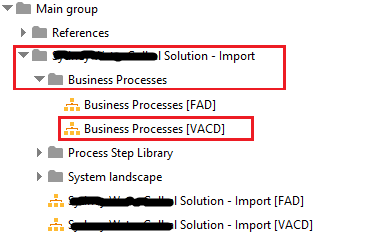 Note: This synchronization option will only work for the models created under Business Process VACD. We need to maintain additional parameters for the existing models in ARIS for synchronization. In my next blog, I will explain how existing ARIS models can be synchronized with SAP Solution Manager. I am looking for your blog on HP ALM integration with Solution Manager 7.2, I cant seem to find it any where. it was a very well written blogs and it really helped me with the integration. can you share the blog again. Thanks a lot for your entry. I have an additional question, do you have any experience in integrating SAP Process Control with ARIS? No, I don’t have experience in SAP Process Control with ARIS. can you please indicated some useful link to setup the Process management that’s the prerequisite for this integration? Prerequisite for the integration is to making sure the activities in process management guided procedure is completed without any errors. All the information related to process management setup is available in the guided procedure. Can you please provide information on how to download ARIS Architect and any download link for the same? ARIS Architect is a licensed product and it is not available for free download to everyone. Can you please share the URL where I can purchase this licensed product.